Just a little post-golf breakfast on the way back from Countryside on a beautiful 4th of July. Two eggs are really four small eggs at Elly’s Pancake House Mundelein, but it’s really not that confusing. 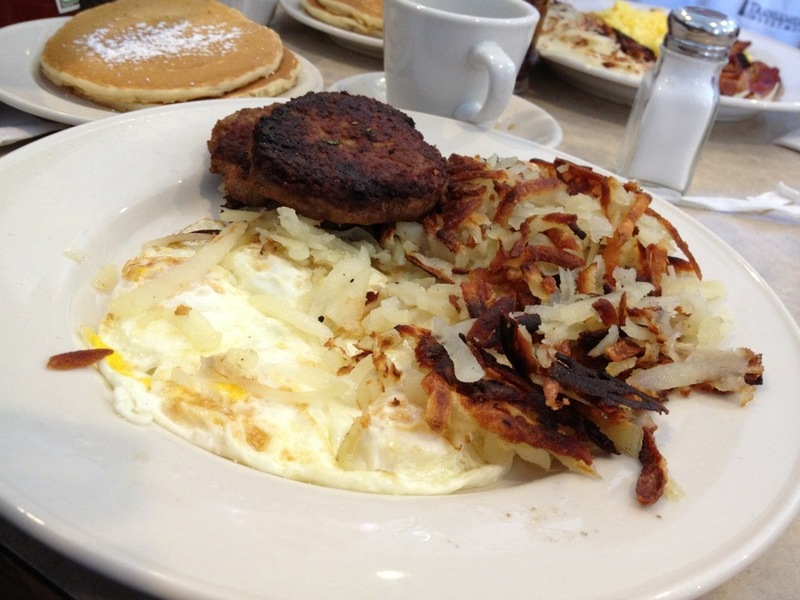 The sausage patties are huge and the hash browns nice and brown. The line may look daunting and the parking lot may be full, but they churn people through quickly while retaining solid service.